My dear Heather! I spent some time online trying to discover who Heather Dixon is, to realize that you are a complete mystery hehe (not in a pejorative way), would you mind telling us a bit about you? I’m obsessed with Mary Poppins. I even have the parrot head umbrella! The symbols and colors and delicate beauty of that movie—I’m in awe every time I watch it. And I’m hopelessly in love with Bert. Other than that, I’m pretty boring. I grew up in a large family, all of whom are great, went to college and majored in animation. Currently I work as a storyboard artist, which I adore and love. I’ve always been fascinated with children’s media and am delighted to create stories for it. Entwined is your debut novel *squee*, how does it feel to know that your book will hit the shelves soon? Pretty crazy! It’s neat to have these years of work come to a head, and, at the same time, I feel I don’t deserve it. One thing is for sure—I have learned a lot and feel fortunate to have been able to work with such a great agent and talented & kind editor, and the publishing group at Greenwillow. They really are a star team. How would you describe Entwined? Entwined is a Victorian retelling of the Grimm’s story, The Twelve Dancing Princesses, but with feisty princesses, dashing gentlemen, and a creepy villain who hides in the walls. Still, I hope it’s more than just a fairytale—I feel strongly that all my storywork should have themes of redemption. Entwined is the story of a broken family who learns how much they love and need each other. If you had to pick a cast for a movie adaptation, which actors would you like to play the main roles? Charles Dance is exactly how I imagined the King. Exactly. Jeremy Northam – This pic is pretty close to what I think Mr. Bradford looks like. I haven’t really figured out the rest, but I’m pretty sure Alan Rickman would play them. How did your characters come to you? They more or less wouldn’t leave me alone. I started Entwined my junior year of college, and I still remember being mad at myself because these characters danced their way into my mind and distracted from homework. (It was worth it though.) Azalea, as the second mother, had to be maternal and even a little bossy, and Bramble—like sisters in real life—had a personality of offset that. And Clover had a personality and demeanor that blended well with that and offset Delphinium. And so on. I think family dynamics are a lot like that. How do you choose their names? Because there were so many princesses, their names had to be distinct. Originally they were just alphabetically (and rather generically) named. When I discovered the soon-to-be-released Barbie in the Twelve Dancing Princesses with alphabetical princesses, I pored over the names again. The gardens were such a prevalent part of the story, and a symbol of the mother, that it felt right to name their personalities after flowers and plants as well. Bramble (feisty), Clover (sweet, simple beauty), Delphinium (a bit vain), Evening Primrose (prim, smart). Flowers for the princesses is not a unique trope, as I discovered a few years later, but I’m glad I stuck with these names. They feel right. If you had to pick a song to represent each of your main characters, what would it be? This one’s a toughie. I listen mostly to soundtracks, so the songs below are more sequence and mood-based. Other pieces I found inspiring: “Impossible Opening” by Jan A.P. Kaczmarek, from Finding Neverland, “The Princess Diaries Waltz” by John Debney, from The Princess Diaries, “Waltz: Theme” by the Sherman Bros, from Slipper and the Rose. What was your experience with your fans like so far? In your wildest dreams, how do you imagine your career ten years from now? It’d be nice to continue on in animation and writing. One thing is for sure: I hope to keep improving. If I can keep getting better with story and art, I think I’ll be happy with wherever life takes me. Thank you so much for your time Heather! 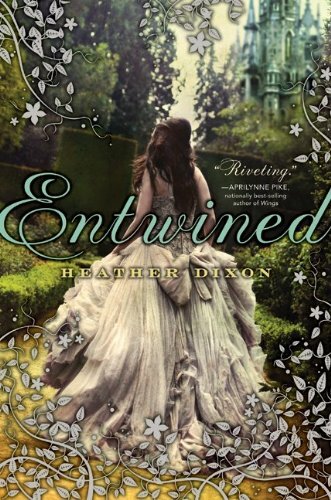 Thanks to Harper Collins Canada I also have one (1) copy of Entwined to offer you! Hmm it would seem as if this is only a chick novel. But I forgot where I said it, but I said that I like reading novels with female perspectives so I can see how different they think. Since it's all new to me I find it all amazing. Now while I don't have a favorite princess or prince or anything like that (is a dude =D ) what I can tell you is that I like Belle from Beauty and the Beast because she's a big reader like me. And she's a princess eh? That would have to be Cinderella. I'm the blonde in my group. My bff is redhead so she's always been Mermaid, other good friend is brunette, Snow White. We've been best friends since we were like 7 if you can't tell. Cinderella will always be my favorite. There's just something about her that gets me every time. This book sounds fantastic! I'd really love to read it. Oops, sorry! Just realized this was just for Canada. Such a great interview! I love how Alan Rickman will play three characters, including Azalea LOL. My favourites princess.... To be honest, Princess Diaries 2: Royal Engagement is one of my absolute favourite movies, so I'm gonna have to say Mia (aka Amelia Mignonette Thermopolis Renaldi, hehe). I seriously love that movie. I could watch it for days and never get tired of it. I can't wait to read this book! Thanks so much for the giveaway!! Fantastic and very entertaining review!! I love the music choices and Alan Rickman playing three characters, including Azalea.I'm envisioning him looking like Neville Longbottom's gran now.lol Sounds like there's a Phantom of the Opera kind of twist with the Keeper. I wish I could enter, but I live in the US, but good luck to you all! I want a parrot head umbrella. I too want a parrot head umbrella. And here is my tweet about it! Hmmmmm there are probably better answers, but I love Belle! She's always been my favourite Disney princess. Besides her, Aurora/Sleeping Beauty. My favorite princess is Ariel from the little mermaid. Thank gor the Canada only giveaway!!! I loved the princess in Princess Bride. Cinderella is my favorite princess. I love the rags to riches story! My favourite fairy tale princess is Cinderella and favourite real life princess would definitely be Princess Diana. Not entering live in US but good luck to everyone in Canada I hope to get to read this book soon myself. I have always loved Cinderella because, at heart she was so special and kind...even under her rags. Not that I always...wear rags....ha ha...I am the special princess in my sweethearts' life. Sweet. My favorite princess happens to be a Disney Princess, Belle. Since i was a little mini-me I've absolutely adored her! My favourite princess is Belle, because she didn't get magically blessed or cursed, she swept the prince away and broke his curse. Jasmine from Aladdin has always been my favourite Disney princess. She wants to be independent and make her own choices. My fave princess would have to be princess Serena, Sailor Moon! I adored the show as a child and still do. Meatball head! She's not truly a princess until the 2nd movie, which I haven't seen, but she's considered a Disney princess so hopefully that counts. Mulan! She's tough and skilled and not afraid to get her hands dirty, and she's just all around awesome. Hm .. that's a tough question ... my favourite princess would probably be Ariel from The Little Mermaid or Belle from The Beauty and the Beats - the former because she wanted to explore and go on adventures and let nothing hold her back; and the latter because she read and imagined new worlds and could see past the ugliness for what was underneath. Cinderella was always my favourite princess. My favourite princess is Jasmine from Aladdin. oh, and I am a Canuck. Sorry, forgot to mention it. Thank you for having a Canada-only giveaway. Cinderella hands down my favourite. Ariel and Belle would be tied for number two. My favourite princess is Ariel. Sure, Cinderella goes from rags to riches but Ariel manages to have the impossible occur because she goes having from having a fin to getting legs. I love Rapunzel! As a kid I always wished I could grow my hair that long. My favorite princess is Ella from Ella Enchanted! I don't know that I have a favourite princess. Is that crazy? I dunno. Haha. I recently saw Tangled and loved it, so I am going to say that Repunzel is my favourite! My fav princess is probably Cinderella. Entwined sounds wonderful and love the cover. Thanks for sharing. Aurora AKA Sleeping Beauty has always been my fave. 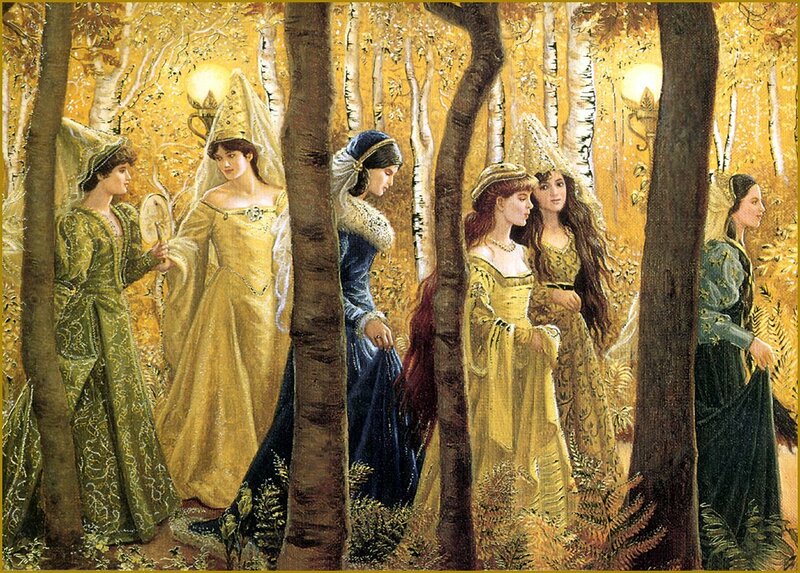 My favourite is the Paper Bag Princess since it was one of the first books I read. My favourite princess is Princess Mia from the princess diaries.